Do you ever wonder how some founders can come up with endless ideas? Yet, other founders can only come up with a couple. I wanted to learn how to become creative. I never had the right idea to help my company grow. Or, at least, enough ideas to choose among. I had worked for five startups that had failed and had zero to show for it. If I could figure out how to overcome the creative hurdle, then I could break this pattern. Motivated, I studied the creative process by reading countless books on psychology and then practicing. The result is I’ve come up with hundreds of original ideas to help companies grow. I’m even the CEO and co-founder of one of the fastest growing companies in Los Angeles. All because I can rely on the most important intangible skill, creativity. Creativity doesn’t happen on the surface level. It happens deep beneath the ground. It’s where your expertise lies. It’s the T in the T-Shaped model. But there’s a catch – unless you’re in the top .01 percent of your field, then you need two deep Ts. Yes, two skills you’re highly proficient in to be creative. The reason is creativity happens when you combine ideas. If you can combine them from deep expertise in two verticals, then the chances the idea is original increases exponentially. For example, if you combine your knowledge of programming with content creation, then you might come up with a brilliant software idea. If you had surface level knowledge of both areas, then you might come up with what you think is an original idea. Then you share the idea with an expert and they’ll probably say, “Yeah, that’s an old idea. It doesn’t work.” That result is fine because it shows you that you have much more room to learn. If you’re not an expert, then you need to know the steps to become one. The good news is this is the easy part. The hard part is the execution. Use LinkedIn, Facebook, and email to reach out. Mentorship is a big time commitment on their part so asking right away will deter them. Start by giving them value no matter how small, then ask for coffee. Get them to become your friend before you ask for them to become a mentor. 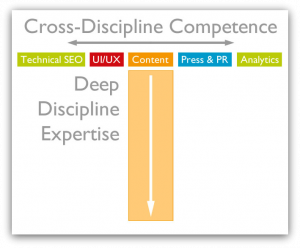 Ask experts, then research on Google and YouTube what those few core important skills are to get results. You’re learning one skill, not a hundred of them. Yes, you have to show up every day if you want to be good at anything. World-recognized learning expert, Josh Kaufman, explains that all you need is enough information to self-correct. That means you need the ability to recognize your own mistakes, and then make adjustments when this inevitably occurs. Over time, you become mistake free. Rinse and repeat, and you’ll eventually get to your desired level of proficiency. Most people quit soon after they start. The major barrier to skill acquisition isn’t intellectual; it’s emotional. Whenever you start learning something new, you get frustrated because you feel inadequate. It’s easy to lose hope. And nobody wants to feel like they’re no good at doing something. They key is to recognize that feeling, then do it anyway. That’s what the best leaders do. They feel the fear, then still take action. It’s not that they’re more confident, it’s that they internally process the idea of fear better. In 2013, Science published a study by economist Sendhil Mullainathan of Harvard University and psychologist Eldar Shafir of Princeton University describing how reminding people with a low income of their financial trouble reduced their capacity to think logically and solve problems in novel situations. A subsequent study found that Indian sugarcane farmers performed much better on the same cognitive performance test after receiving the once-a-year payment for their produce, temporarily resolving their monetary concerns. If one’s mind is constantly occupied with urgent problems, such as paying bills, there will not be much capacity left to come up with long-term solutions or creative ideas. In other words, your mind only has a certain amount of capacity to carry thoughts. Your job is to constantly open up this capacity by externalizing your thoughts whether through writing, video, or audio. As long as you’re not distracted by thoughts at the forefront of your mind, then you’ll own your creativity. If you’re externalizing your thoughts, it’s best to organize them to the best of your ability. 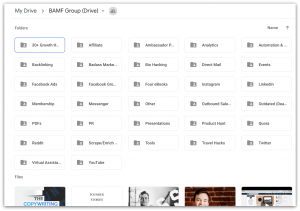 That means writing books, using your Google Drive or Dropbox storage, and even creating how-to lessons and uploading them to YouTube. Here’s a peek into my Google Drive. 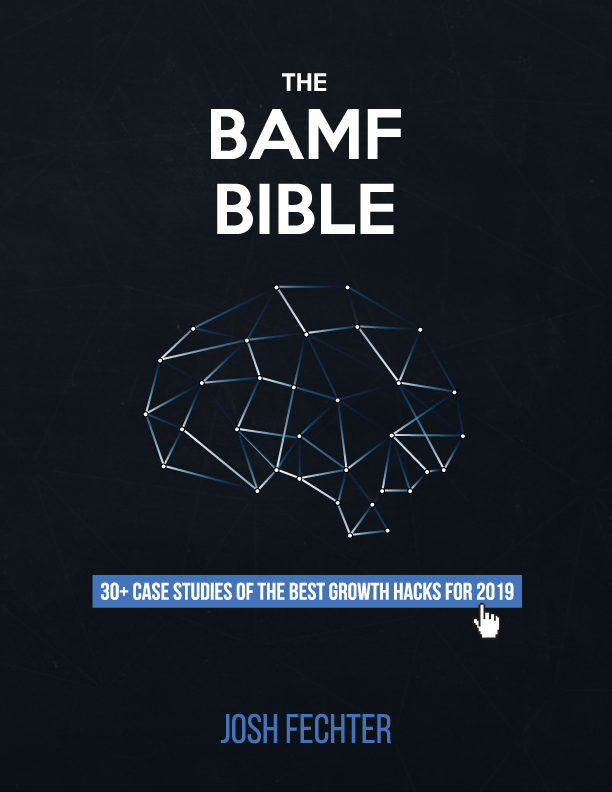 There are over a 100 guides in here about marketing. That’s 100 tutorials I no longer have to keep in my mind. And that’s exactly why I can keep coming up with new ones. If you’re not a writer, then record yourself on video documenting your creative ideas. This only helps to an extent when removing the idea from your head. The next step is executing it to see if it works. If it does, you’ll now have room to come up with more creative ideas to improve it. If it doesn’t, then come up with new ideas to chase. Not all of us have time to learn a new skill or document all our processes. Sometimes we need a little help. 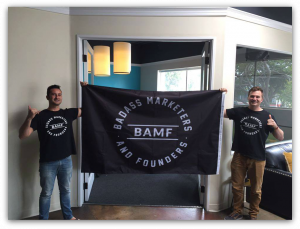 When I co-founded my company, BAMF Media, I partnered with Houston Golden, the former director of growth for an agency. Here’s a picture below when we opened up business for the first time. I didn’t understand much about founding and scaling an agency. I knew a lot more about marketing, writing, and building an audience. So I found someone who’d already helped build an agency. This way, when we founded the company, we had two deep Ts that we could rely on for creative ideas. 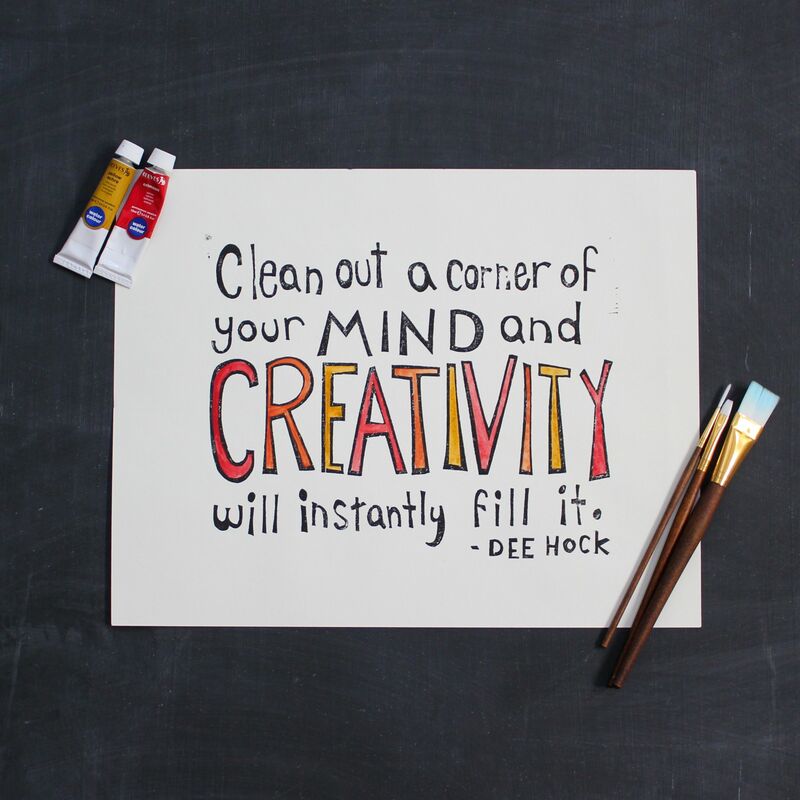 Chasing creativity requires an abundance mindset. You need to get all your bad ideas out to come up with good ones. It doesn’t always work out in your favor, but if you try enough times, then it will. The secret: trust in the process. Know that creativity only comes once you’ve documented and executed on your already existing ideas and problems. If you can stand on the plate and keep batting, then you’ll hit that home run.